Introducing the new Gloire "G" Series Irons designed for big forgiveness and distance. Equiped with the transmembrane speed pocket and 360* undercut cavity structure. 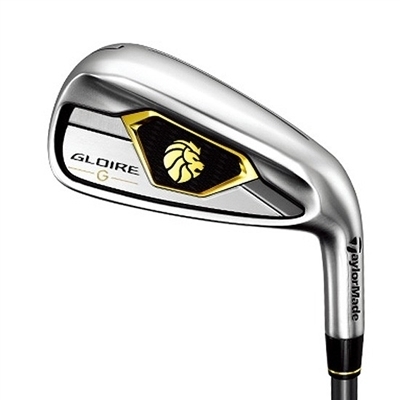 The new Taylormade Gloire "G" Iron also features face slots to reduce distance loss on off center hits and has a draw biased face design with improved heel side forgiveness on it's face. It also has a thinner top line vs other game improvement irons, which better players will prefer.